The C-20 gulfstream is a passenger transport aircraft developed by the American company Gulfstream and is in use by a lot of air forces. 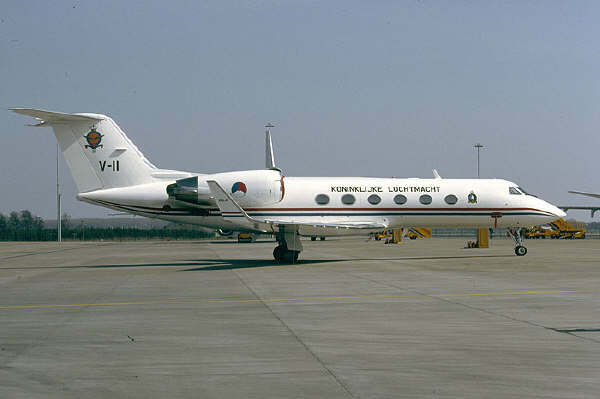 The Royal Netherlands Air Force has 1 Gulfstream IV version for VIP transport but is property of the Dutch Ministry of traffic and waterstate. The aircraft is mainly used to transport high politic or high officers. 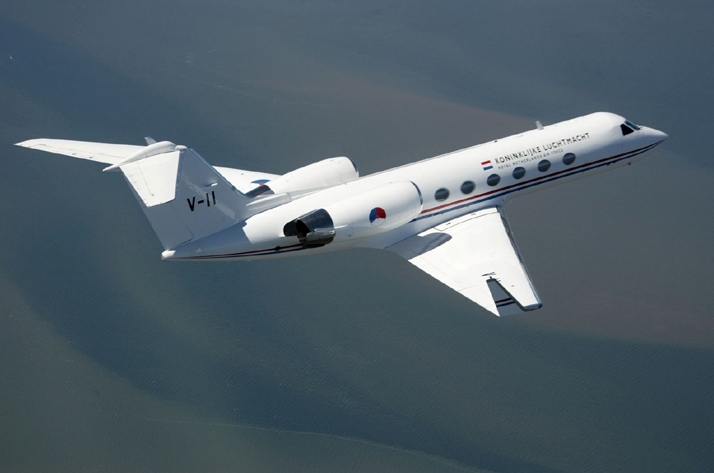 Besides the aircraft is also available for the Dutch Royal family when they haven't the ability of their own aircraft. The Gulfstream is stationed with 334 squadron at Eindhoven Air Force Base in The Netherlands. The Gulfstream IV has a few sitplaces and the aircraft is very comfortable. The chairs are very suitable and upholstered with expensive material. Also the floor and walls are upholstered. On board there is a fax, internet and more luxe equipment. The Gulfstream has 2 steam engines which are assembled on the body of the aircraft. In comparison with large airplanes the gulfstream is very fast on cruise altitude and very fast back on the ground what what will reduce the flying-time. The maximum speed is just less than 1 mach (around 970Km/h). Because the ends of the wings are bowed the airplane uses less fuel.